After today’s official response to the iPhone 6 Plus bending controversy, the company took an extra step to clear the air. The Cupertino giant granted opened the doors to its secret testing labs to select media. In order to cope with daily use and abuse, Apple iPhone 6 and iPhone 6 Plus feature high-grade aluminum bodies with stainless steel and titanium inserts. More than 30,000 iPhone 6 and iPhone 6 Plus units have met their fate in Apple’s testing facilities in Cupertino and China before their official debut. Some of the durability tests that Apple performs on the iPhone 6 and its phablet sibling replicate life’s worst-case scenarios. They a sit test, a three-point bend test, a pressure point test, and torsion test. The sit test is reportedly the most relevant to real-life consumers, as it is performed to check for unwanted bending during sitting. Repeated thousands of times, various test scenarios range from sitting on a soft surface such as a comfy couch, all the way sitting on a hard surface at an angle. 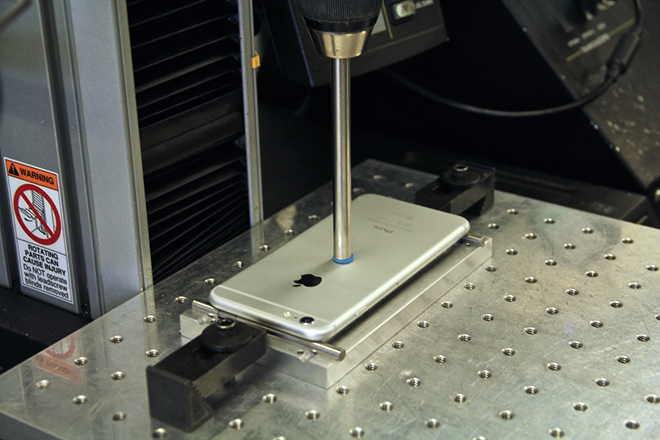 Next in line is the three-point bend test, which consists pressing up to 25kg of weight across the center of the phone. The weight is more than the device should normally be able to tolerate and yet it doesn’t appear to affect it. 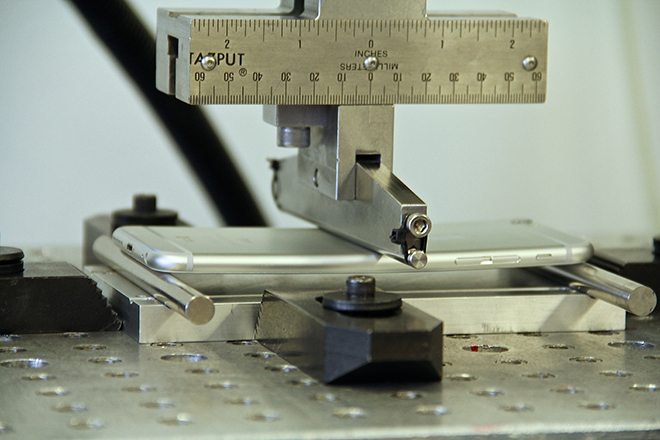 The pressure point test consists of applying 10kg of weight to the center of the handset. 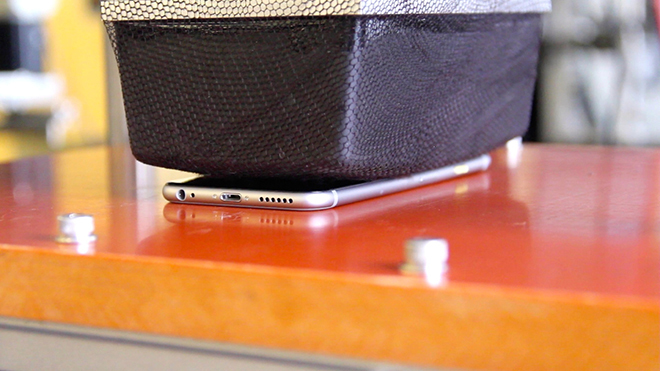 Finally, the torsion test, twists both ends of the smartphone in various angles. 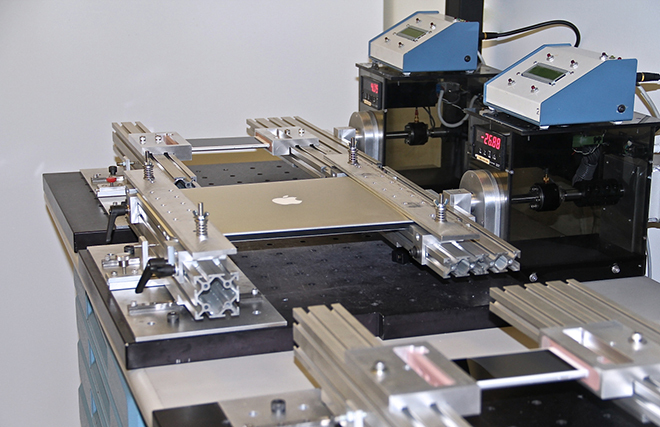 Check out a short video that shows Apple’s testing process below. What do you think? Are you ready to make that purchase now that you saw how Apple’s test practices?